On the 12th of April 2016, STOM was born out of a collaboration between Thunder Match Technology, Intel and Microsoft. 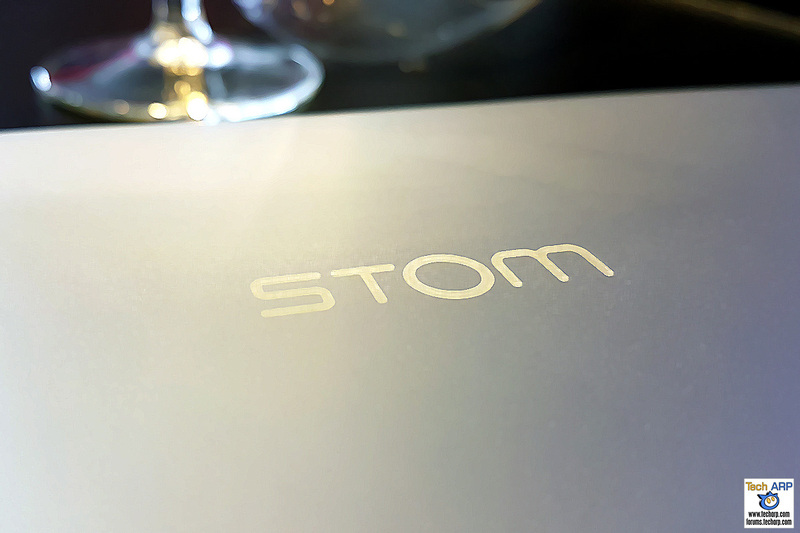 One of the two debut devices they launched was the STOM Spectrum i100 2-in-1 laptop. The 2-in-1 form factor melds a tablet with a detachable keyboard to offer the usability of a laptop with the convenience of a tablet. With a 10.6″ display, the STOM Spectrum i100 is one of the smallest 2-in-1 devices on the market to offer a full HD resolution of 1920 x 1080. The STOM Spectrum i100 is powered by the same quad-core Intel Atom Z3735F processor used by the STOM PC Stick, and runs on Microsoft Windows 10. It comes with 2 GB of DDR3L memory, 64 GB of eMMC flash storage and a 8,900 mAh battery. If you need more storage, it has a microSD slot that should allow you to add at least 128 GB of additional storage. It also comes with one full-sized USB port, one micro-USB port and a HDMI port, if you need to display out to an an external LCD monitor. During the launch event, we had the opportunity to check out the Spectrum i100 up close. Take a look at the video we recorded. The STOM Spectrum i100 will retail for RM 1099 / ~US$ 275, with one-year local warranty for parts and labour at 51 service centers nationwide. As an early bird offer, the first 500 units will be sold at just RM 999 / ~US$ 250. It is available immediately at all Thunder Match Technology (TMT) stores nationwide, as well as the Microsoft Online Store at Lazada, and the TMT Online Store.